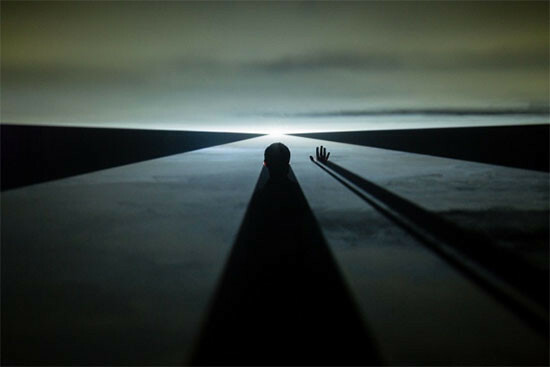 The 2013 Lisbon Architecture Triennale's emphasis on active workshops, networking and "research" projects rather than architectural set pieces often plays as live performative tableaus. 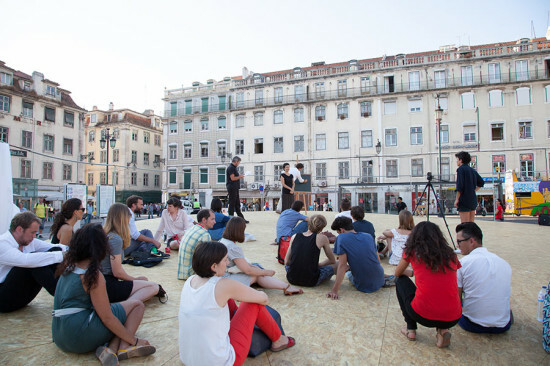 The public focus of the exhibition is indeed an elevated stage in the city's Praca da Figueira (Square of the Fig Tree) where architects are performing plays, encouraging civic engagement with public performances, and programming research workshops. Performance is also the operative scheme in another triennial initiative, The Institute Effect, that takes place the city's Museum of Design. The Museum of Design, headquartered in a spectacular bank space, has given its third floor over to 12 "global institutions of architecture and culture" that are meant to appear at different times during the three month triennial to create "bespoke programs" of talks, debates, hands on workshops, and performances. The day of the opening the space was alive as the Italian firm, Fabrica, was designing and building out the space with tables, shelves, pin-up boards, and graphic designers creating a Phaidon book. The idea here seems to be that as part of this performance activity the "audience" or visitors will be encouraged to intact with the twelve invited organizations (including the C.U.P., Storefront for Art and Architecture, the Strelka School, and the online and database group Spatial Agency) in their programs and together create a record of the event in an ebook. 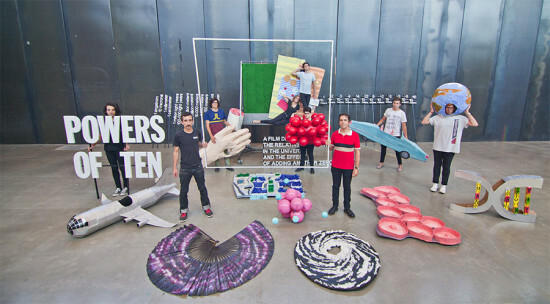 The sort of experimentation and research-based projects featured in this triennial are exactly the sort of activities young firms should be engaging in—particularly in these perilous economic times—as they develop their practices. It's exactly the path traveled by the next curator of the Venice Architecture Biennale, Rem Koolhaas. I wrote in my first post from the Lisbon Architecture Triennale Close, Closer that it's the first international exhibition that does not need or even want outside visitors. 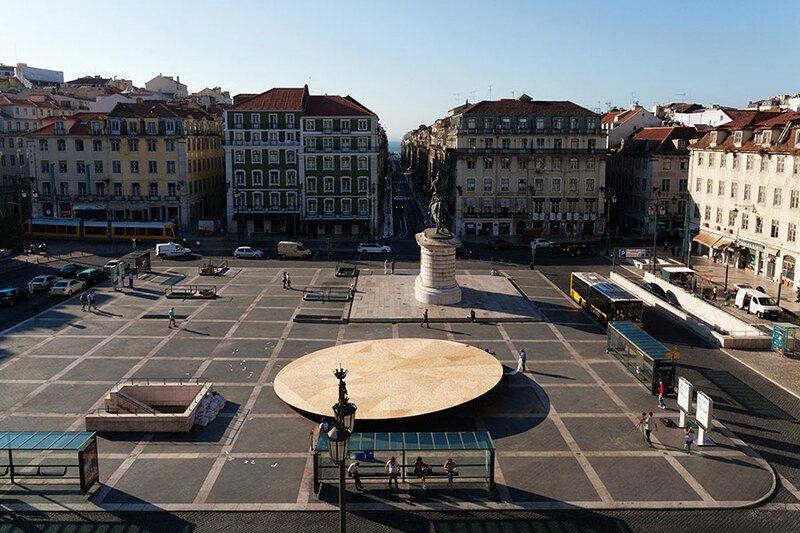 The exhibition's organizer and head curator, Beatrice Galilee, downplays installations and object-making in favor of active workshops, networking, and "research" projects aimed primarily at residents of the Portuguese capital. 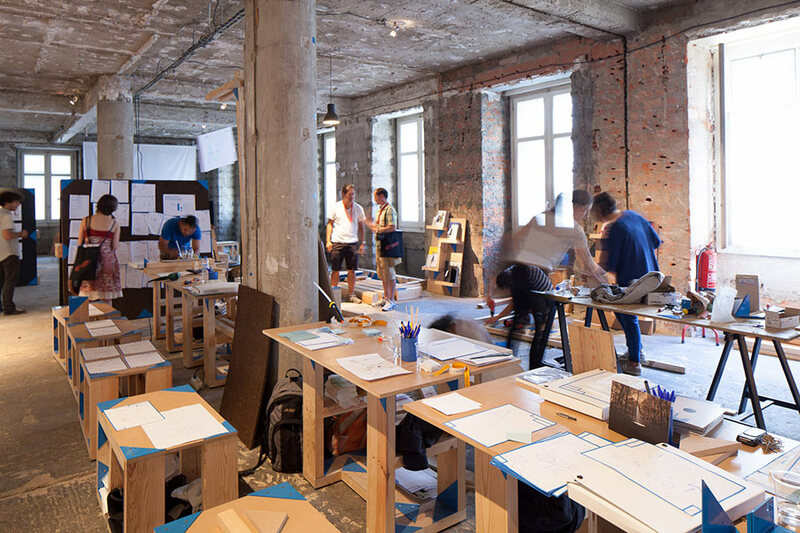 Galilee calls this idea—that invited architectural exhibitions should no longer be to create and install physical tableaus, but to initiate and carry out localized research—"an alternative reading of contemporary spatial practice." 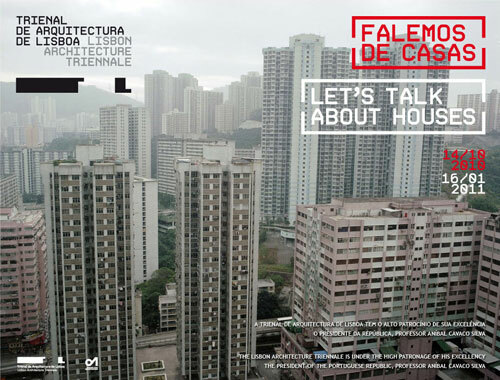 She and her generation of curators is calling for a reengagement of the "social and humanistic" aspects of architecture and these exhibitions' successes or failures depend on how well their research projects engage with local communities and how well it informs these publics about places and events that surround them everyday. The exhibition opened, for example, with a program of "Speech Acts, Body Acts, and City Acts" in a large but under-utilized urban plaza, Praca da Figueira (Square of the Fig Tree), where the Triennale has placed a beautiful circular, tilting stage for public events designed by Mexican Frida Escobedo. The first day included a debate by Lisbon mayoral candidates that brought out residents of the plazas fronting buildings to listen from their window and then a program of performances by Francisca Benetiz, Visible Speech, aimed at the city's Deaf Community using signing experts. In the evening the civic stage hosted Superpowers of Ten by Andrés Jaque / Office for Political Innovation (curated by Jose Esparza Chong Cuy), a play based on Charles and Ray Eames' film of the same name. The play is described as a celebration of "the struggle of inhabiting in and out of the frame, recuperating narratives lost somewhere in the scaling up and in the scaling down of the camera." The first few days of the triennial these events all were seen by a wide variety of of local people crossing the square or sitting in its many cafes and restaurants. It's hard to quantify the degree to which these events truly impact on the city, but they are open and accessible to the public. 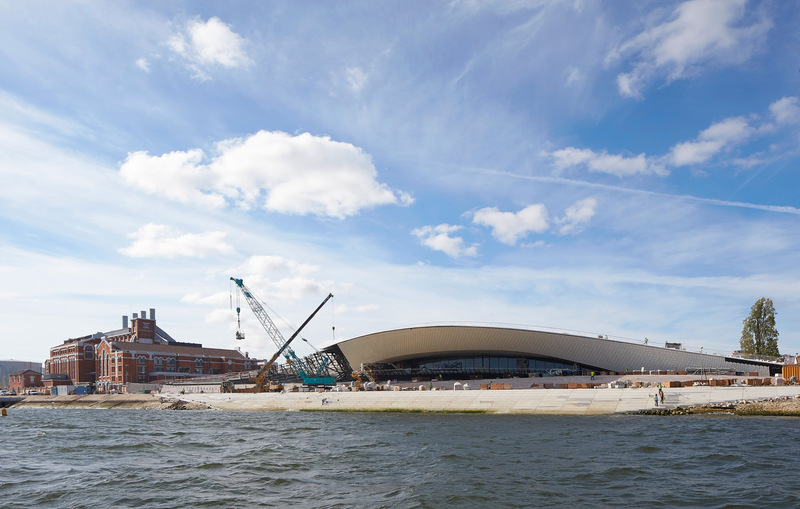 The impulse to have architects operating in civic space rather than on the drawing board is now, at least, the preferred operative model for young curators and we will likely see more of it in future biennales and triennials. 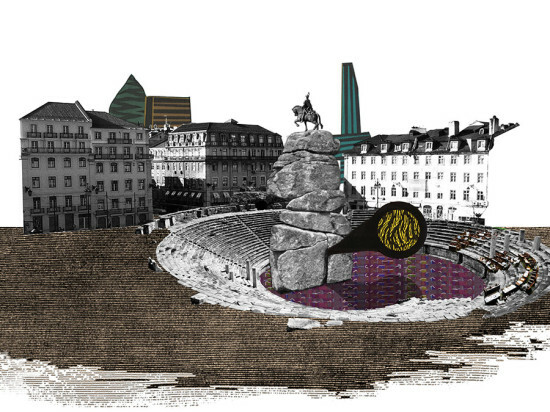 The Lisbon Architecture Triennale may have aspirations to international importance, but is really more interesting for what it says about the city’s potential as a regional center rather than a world city like London or New York (more on that in my next post). While most of the Triennale’s three major exhibitions take place in large public event spaces, there is one “official” ancillary event in a small commercial art gallery that has something to contribute to the world architecture scene. The show Interiors is at the Cristina Guerra gallery on Rua de Santo António à Estrela, which seemed to be an out-of-the-way residential neighborhood, but I was told that it is the most important international gallery in Portugal. The exhibition features the interior design work of Portuguese architect Pedro Gadanho, who also serves—not always a good idea—as his own curator. 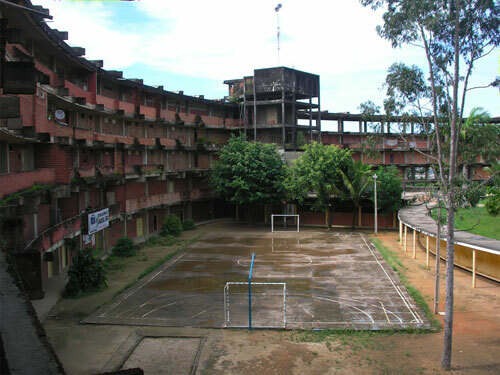 But Gadanho has been asking artists for at least 10 years to document his own design work, and has been smart in his selection of collaborators. The work on the walls is allowed to showcase the artists’ conceptions and insights alongside Gadanho’s interior design. 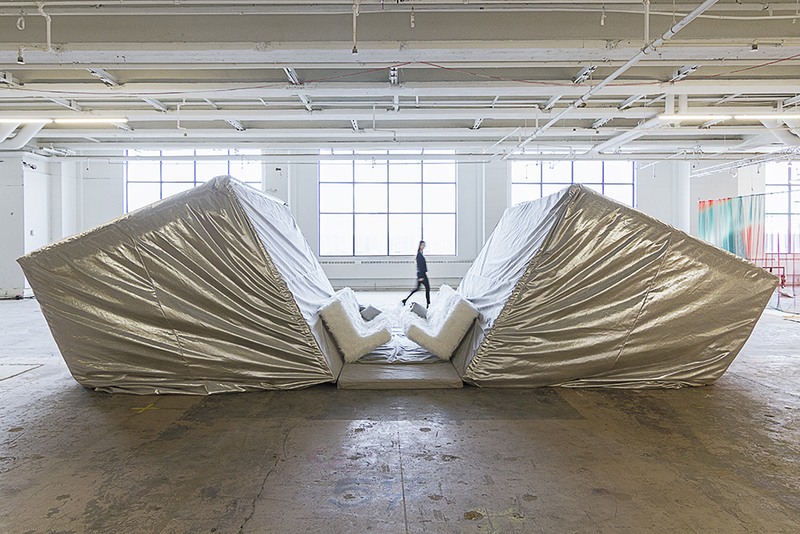 He claims his work is about “difference, intimacy, and desire,” and this does come out in the work, which includes a video, two photography installations, and a wall-hung paper construction. While the video by Filipa Cesar carefully and beautifully tracks the minute details of a domestic storage room, the color photographs of Casa Baltasar by Fernando Guerra foreground the details of a house Gadanho designed for a bachelor. In one image, a bright forest-green kitchen leads into a red wall, the entrance for a bright red bedroom shown in the image next to it—just the “desire” of every bachelor’s dreams. There are also two abstract yet architectural images of the Elipse Foundation, designed by Gadanho in 2006, and a seductive, lozenge-like view of a bathroom by Edgar Martin. I have never visited any of the interiors in the show, so am not sure if they fulfill the designer’s claim (this is where an independent curator would have been helpful) to “difference and desire” in his work. But here on the walls of the gallery, the artists aptly make his case for him.